The demand for personalisation is becoming increasingly sophisticated. Consumers are starting to consider their own genetic make-up when it comes to determining what they should eat and drink. 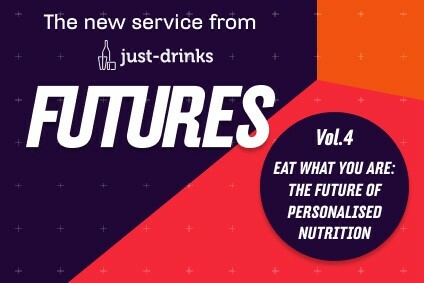 In the fourth issue of FUTURES, Lucy Britner investigates what the future of personalised nutrition could look like. How long before our DNA determines what we drink? Personalisation in food and drink started out as something of a gimmick; a name or a favourite holiday destination on a label, or perhaps the choice of a few different flavour profiles of whisky. The future, however, will involve food and drink tailored to an individual's exact needs thanks to a combination of genetic testing and personal preferences. We will be able to reverse the idea that we are what we eat - soon, we will eat (and drink) what we are. This report investigates the key questions underpinning this phenomenon: What trends are driving personalised nutrition? What will the market look like in 2023 and beyond? What hurdles will businesses have to overcome? And, what should you be doing, right now, to prepare? "Personalised nutrition allows greater choice and flexibility to consumers," says Sue Gatenby, senior director nutrition sciences at PepsiCo. "We have seen growing trends that consumers seek to identify personally with products. 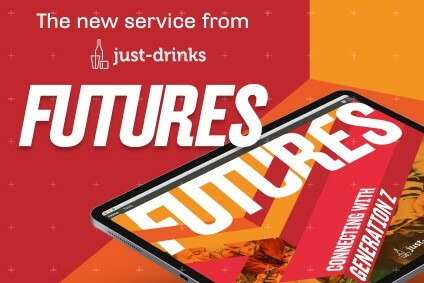 That has led to the food and drink industry increasing its focus on providing consumers with the ability to customise and be involved in the creation of products that suit their lifestyles and needs." The personalisation movement is already apparent in big food and beverage business. Take PepsiCo's 'Drinkfinity' initiative: Launched initially in Brazil in 2014, the reusable plastic bottle involves consumers adding a 'pod' of ingredients to water, based on their needs and desires. When the concept rolled out to the US and Europe in early-2018, the company described it as a product that "embraces people's passion for choice and personalisation". This is just the start. At Nestlé, the concept of personalisation is explained by the company's chairman emeritus Peter Brabeck-Letmathe as the next phase in nutrition. Speaking at the inaugural Newtrition X Innovation Summit in Germany in September 2018, the former Nestlé CEO said consumers all have individual wishes and requirements. "Against that backdrop," he explained, "there cannot be mass satisfaction ... so we have to respond individually to every single customer - that leads us to the idea of personalised nutrition." "We must fully understand what the unmet nutritional needs are and it is only on a scientific basis that we can provide our contribution to personalised nutrition." However, Brabeck-Letmathe warned that personalised nutrition can only be achieved on a solid scientific foundation, which includes a better understanding of "psychological as well as physiological" requirements. "We know far too little about this," he noted. "We must fully understand what the unmet nutritional needs are and it is only on a scientific basis that we can provide our contribution to personalised nutrition. It is going to be a long rocky road." Brabeck-Letmathe went on to highlight the importance of working with start-ups when it comes to research and development. Over at Campbell Soup Co, the company made a move in 2016 to get out in front with personalised nutrition. Campbell invested a reported US$32m in San Francisco DNA-testing start-up, Habit, though Campbell this month offloaded the company to fellow personalised nutrition firm Viome. Habit was founded by Neil Grimmer - the same man who created leading US organic baby food brand, Plum Organics (which he also sold to Campbell). While there are many DNA testing kits on the market, Grimmer set out to look at how the entire body works together, "measuring more than 70 nutrition-related blood and genetic biomarkers, biometrics and lifestyle choices to make personalised nutrition recommendations to help take guesswork out of healthy eating". Consumers simply order a kit for $299, follow the instructions and receive their own, individual recommendations. 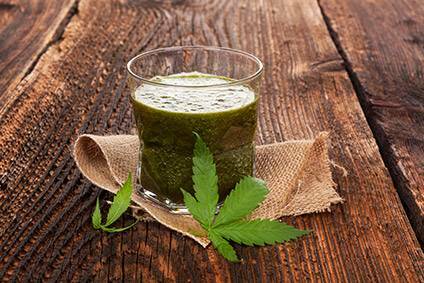 As big business continues to get behind personalised nutrition, using DNA to create bespoke food and drinks will become more widespread. However, the need for Brabeck-Letmathe's "solid scientific foundation" means there is still years of work to do. From wearable technology that tracks fitness to the booming health & wellness movement, personalised nutrition is definitely on trend. But, there are deeper, sociological reasons why eating and drinking what is right for our bodies is becoming increasingly important. Trevor Hardy, CEO at insights agency The Future Laboratory tells FUTURES that the information we get today from wearable tech, such as FitBits, is fairly basic and mostly related to the heart. But, he says, "it will be much more diagnostic, hormonal and molecular in a few years". "The insight we get about ourselves today from such wearables is fairly generic," he notes, "but in time will be rich, factual and actionable." According to Euromonitor International, the global market for health & wellness is expected to be worth US$815bn by 2021. Millennials are driving the trend - a recent survey in the US by TD Bank suggests the cohort care more about shedding pounds than saving them: "Millennials say eating healthily (56%) and getting in shape/staying fit (48%) is more important than saving more and spending less (47%)." PepsiCo's Gatenby agrees that increased interest in health and wellness will drive the trend: "There has been significant progress in the field of nutri-genomics, which is set to take personalisation of nutrient intake to the next level. Further clarity on the complexity of this area of science could help individuals known to be at high risk of developing conditions such as heart disease or diabetes select specific foods and dietary patterns that may help reduce that risk." There is a wider, socio-economic need for personalised nutrition. Speaking at the Newtrition X Innovation Summit, Nestlé's Brabeck-Letmathe addressed obesity and the resulting decline in life expectancy on the one hand, and malnutrition - overshadowed by massive population growth - on the other. "Politicians, industry and science need to focus on how nutrition can be made more healthy and sustainable in the future ... and targeted to meet individual requirements," he said. The trend towards personalisation has moved beyond putting an individual's name on a label. Consumers continue to look for deeper connections and bespoke experiences - and it doesn't get much more bespoke than using your own DNA. The pitfalls of personalised nutrition lie mainly in its nascent status, with the need for clear definitions and scientific research still not satisfied. "The challenge remains in translating complex and often incomplete information into personalised, effective actions and changes for consumers to make to their day-to-day diets and lives," explains PepsiCo's Gatenby. "Genetic data are also highly personal and sensitive, so the challenges go beyond nutrition science. It's evident that more research into the relationships between nutrition, diet and health and disease is still required." Gatenby also warns that while companies that offer nutrient intake advice based on an assessment of genetic make-up have already been established, "the science and understanding remains underdeveloped, with further understanding of the complexity required, to avoid unintended risks". There is no agreed definition of 'personalised nutrition'. "People talk about it in terms of genes and also in terms of preferences," says dietitian and industry consultant Emily Foster. "In general, it's about collecting information from people's individual characteristics to give them tailored advice or products. "In the future, I think we will see a more structured definition of personalised nutrition. There will also be some sub-groups that come out of that." Speaking at the Newtrition X Innovation Summit in Germany, physician and nutrition scientist Professor Dr med. Manfred J Mueller questioned established nutrition guidelines. "These were implemented using poorly-designed studies and have since been disproved," he said. Therefore, solid, science-based evidence will be key to getting consumers to buy into personalised nutrition. On a macro-level, Foster believes there is still work to be done when it comes to fairly simple personalisation measures such as labels and menus. "A lot of restaurants don't even have that down yet," she says. "There's a lot of sweeping liability statements, such as 'this may contain nuts'. People want to know: does it or doesn't it? There is work to be done with the preference side of personalised nutrition before we jump into genetics and blood testing and so on." Futures sits down with one of the leading lights in the world of personalised nutrition. José M Ordovás Ph.D is senior scientist & director of the nutrition and genomics laboratory, USDA Human Nutrition Research Center on Aging at Tufts University, Boston MA. He also sits on the advisory board of personalised nutrition company Habit. Ordovás is the lead author of 'Personalised nutrition and health', a paper published by the BMJ in 2018. How does the concept of personalised nutrition work? José M Ordovás: If we bring together information about genetic variants of individuals with what they are eating and their lifestyle, we can start to say: 'Okay, people with specific genetic variants that are also consuming, for example, butter, we have learned that the combination of these variants with butter is not good, so we may recommend olive oil instead'. You can apply this to any aspect of life - sleep, drinking alcohol, types of physical activity. Most of the knowledge applied to nutrition personalisation is based on studies where we ask people what they are eating, about their lifestyle and health history and we measure risk factors in blood. Then, we determine their gene variants. Based on those results, a number of companies have started to develop tests so that people can learn about their genes and get more precise nutritional recommendations to achieve their health objectives. What are the current limitations of such tests? The problem is a lack of solid scientific evidence about their benefits. In order to obtain that proof, we need to conduct clinical trials. In this way, we don't ask people what they have been eating, we give them the food they need to eat and test whether the expected benefits of personalisation really materialise - it's controlled. That's the kind of research we need to do on a large scale to demonstrate that when a company provides certain personalised information to an individual, they are going to really benefit from it more than the standard recommendations. It doesn't mean that the information we have is not correct, we just don't have the highest level of evidence. Moreover, the information provided now is based on a small number of genes - 10-40. We have 20,000. Out of these 20,000, there are maybe 200 that are important for obesity, for example. Are you negative about companies already selling such tests? A few years ago, I would've said yes, because those companies were providing a lot of hype - promising much more than they could deliver, based on the limited amount of knowledge available. Most of those companies don't exist anymore. What is on the market now still contains a bit of hype, but the advice provided tends to be reasonable - especially if results are communicated to the consumer through a health professional. For this to become something practical, we need to use it with common sense. For example, there are tests on the market that you can do to your newborn baby to predict their IQ - that's nonsense because the environment in which the baby is going to grow up has an even greater influence than its genes. How long before more sophisticated personalised nutrition is widely available to consumers? It depends on how fast we can move in terms of research and solidifying knowledge - that depends on how much funding is available. At the pace that I see, I would say that it should be with us in five years. We need to consider two factors; generating the scientific knowledge and the economy. It also has to be priced in a way that is available to the general population. Most probably, we will not be able to achieve total precision, but in that time we will develop products that are much more informative, reliable and precise. What about the behavioural side of nutrition? You have to keep in mind that people have likes and dislikes. The other aspect we are working on is combining personalisation with understanding what is driving the behaviour of the individual. If people dislike something, they are unlikely to follow a recommendation. So, yes, the behavioural side is essential for the success of this approach. Likes and dislikes are also part of our genome, but they can be 'educated'. For example, if a celebrity goes on social media saying "I've eaten this and it's wonderful", you will have millions of people who will buy that specific product, even if it was not in their 'like' list. We should use the educational component to drive people towards healthy behaviours. Do you believe there is long-term potential for food and drinks companies when it comes to personalised nutrition? I hope so, otherwise I will have wasted my entire scientific life! The root of this kind of knowledge is 'what is making us' - our genes. We are starting to understand those genes and we are starting to use that information. It's based on the work of hundreds of investigators. This is not like the fashionable food of the month - coconut oil or avocado - or the book describing the latest miracle diet. This is based on science that interprets what makes us unique; our DNA. This could result in significant changes in the market. If we pace things properly, marching in concert with good science, in a few years we will see significant and beneficial changes in what people eat and the way they eat it. However, we have to work together - researchers and companies. If the private sector goes on its own without the support of solid science, we may end up with smoke and mirrors and then the amazing potential of personalised nutrition to improve everybody's health will be compromised. WHAT DO FOOD AND DRINKS COMPANIES NEED TO THINK ABOUT NOW? 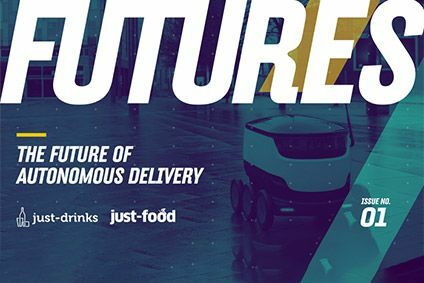 From assessing the scalability of personalised nutrition to considering funding scientific research, there is a lot that food and drinks companies can start to do now in order to get ahead in the future. Ordovás believes the lack of funding for this kind of research is an important limitation. "So far, businesses have been using information generated by the academic world, mostly with public funding," he explains. "They have invested very little in their own research. We need their contribution to the research effort. Whether they are food and drinks companies or genetic testing companies, they have to contribute to this research so it can move faster." The current business model is one that involves selling to many people, according to Ordovás. "In this case, we are talking about modifying that business model to have premium products targeted at the specific needs of individuals," he says. "People already spend so much money on products to help them lose weight, even though many are not based on science. If a company can provide solid evidence of success, people will go the extra mile." Foster believes that if personalised nutrition can reduce the amount of decisions people have to make, there will be more demand. As part of this, she says it's important not to overcomplicate things. "Companies should think about how they can offer a more simple experience by using personalised nutrition." The good news is that personalised nutrition does not mean a product for every person on the planet. "You can segment the population into no more than a dozen groups and put each individual into the one that fits better in terms of dietary recommendations," explains Ordovás. "It's like going to H&M and saying "this is size 42, that's good". It's not like going to the tailor - most people don't need to go to the tailor to get a suit that fits them well. It's the same for personalised nutrition. "Clothes shops don't just make one size and say its the consumer's problem if they don't fit. Food and drinks companies will have to think in this mode." Foster's recommendation is that you ensure that whatever it is you are beginning to build is based on science, because that is the foundation for personalised nutrition. "Depending on what you are trying to achieve, find an expert in that field. You don't need to hire them as an employee, you can use professionals on a consulting basis." To see the full series of FUTURES reports, click here.